DG16 offers an extensive collection of professional-quality embroidery fonts. Whether you’re adding lettering to an existing design, or digitizing a logo, you will find what you need from Pulse’s hundreds of exquisite fonts. Each Pulse font has been expertly digitized with satin or run stitches to create flawless lettering.These fonts are scalable and include a myriad of special and international characters to be easily customized for any design. Included in DG16 – Block Fonts •Outline Fonts •Fancy Fonts •Image Fonts •Monogramming Fonts •Running Fonts •Script Fonts •Small Font •Specialty Fonts. For more information on Pulse DG16 Font Options please feel free to contact us or click on optional Fonts Tab. Fifteen new standard fonts available to all levels. Digitized by industry leading experts. Designed for high volume personalizations. 21 small fonts (between 2mm and 8mm). 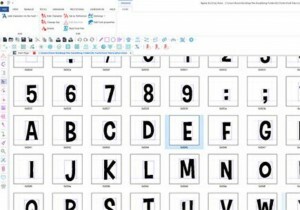 Over 150 additional fonts are available available as options. Sequin, Rhinestone, Chenille fonts also available as options. Convert digitized characters into an embroidery font. Control kerning and baselines to ensure flawless lettering. DG 16 has an extensive Range of Fonts and Monogram Fonts available for Purchase to suit your needs. •Artwork • Blended • Chenille • Monogram • Gold •Hebrew •Medley • Platinum • Russian • Rhinestone • Sequence • Silver • Symphony 1 • Symphony 2 • Thai • Japanese. If you cannot find a particular font please feel to contact us and we would be more than happy to answer your inquiry.